PPLLC compounds many thermoplastics, including engineering, performance, and commodity resins. These resins include PET, PEN, PBT, PTT, PPS, LCP, Nylon, Polypropylene, Polyethylene, EVA, Polystyrene, ABS, Polycarbonate, TPU, TPE, and blends/alloys. Our expertise spans masterbatch to compound; including colors, additives, filled (glass, mineral, specialty), and flame retardants. However, we do not compound PVC. The typical resins that PPLLC upgrades through the solid state polymerization include PET, PBT, PEN, PEN/PET, PTT, PA6, PA66, PA46, PPS, and LCP. 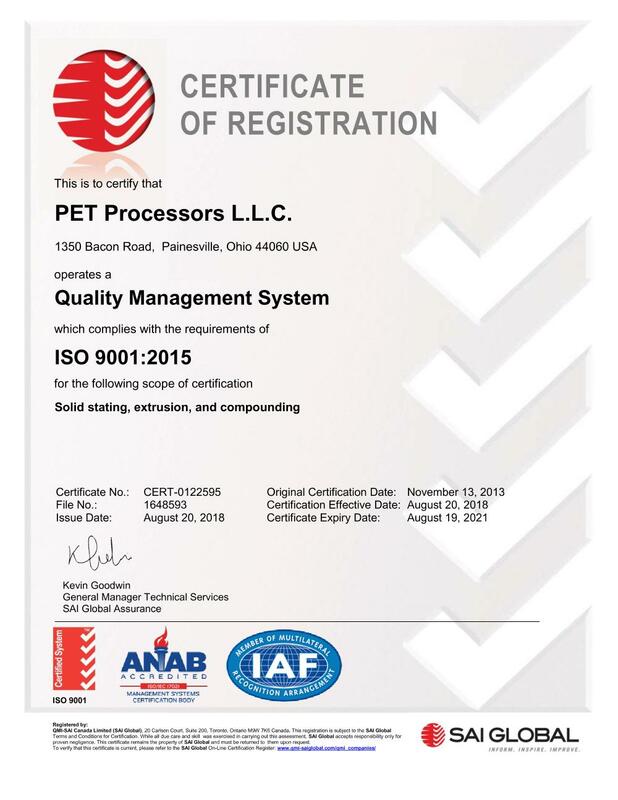 PPLLC provides recycling solutions for post consumer and post industrial resins, including PET. Single screw extrusion technology is used to melt, process, and filter recycled flake into pellets. PPLLC's capabilities include drying, extruding, and underwater pelletizing flake to provide a pellet feedstock for further processing. PPLLC routinely increases the IV of recycled polyesters and nylons for specialty applications.